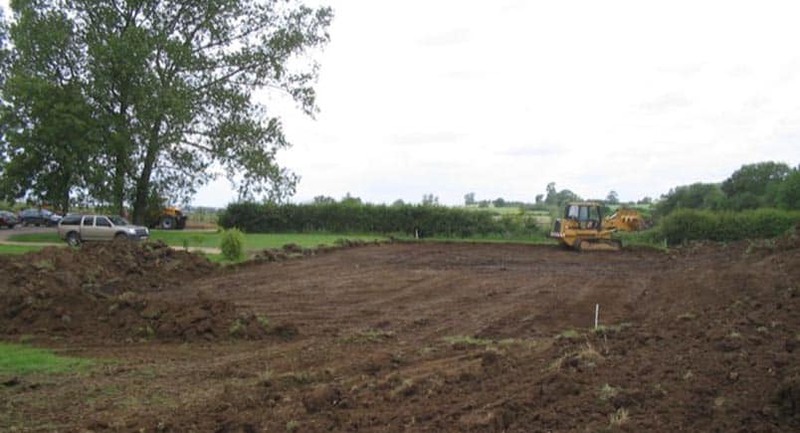 What's involved in tennis court construction? 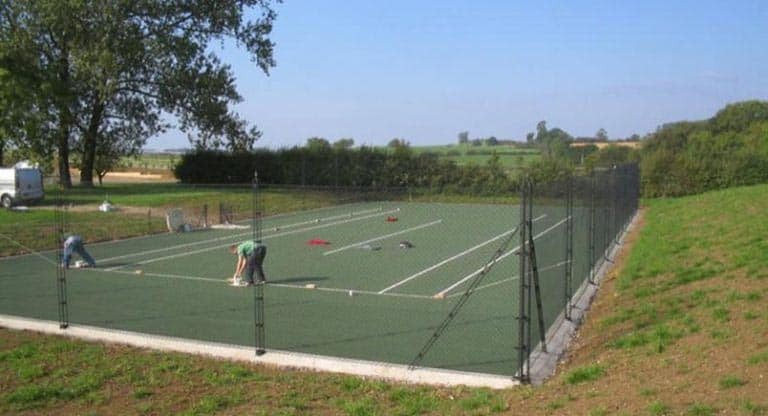 Which tennis court surface do I need? Here is a guide to all four of these key issues. 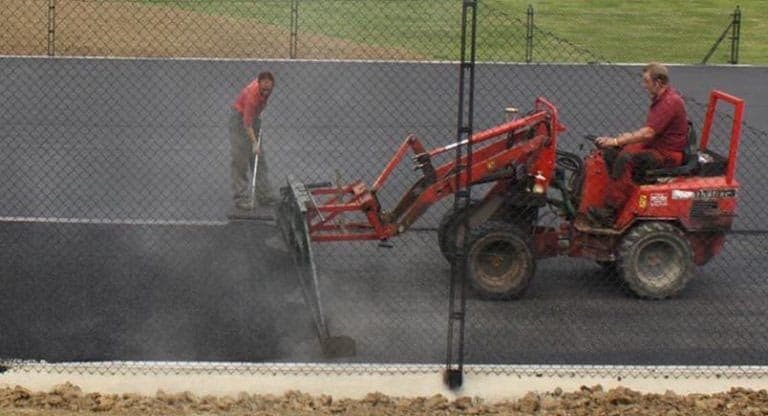 One of the first and most obvious questions about tennis court construction, is how much space do you need? 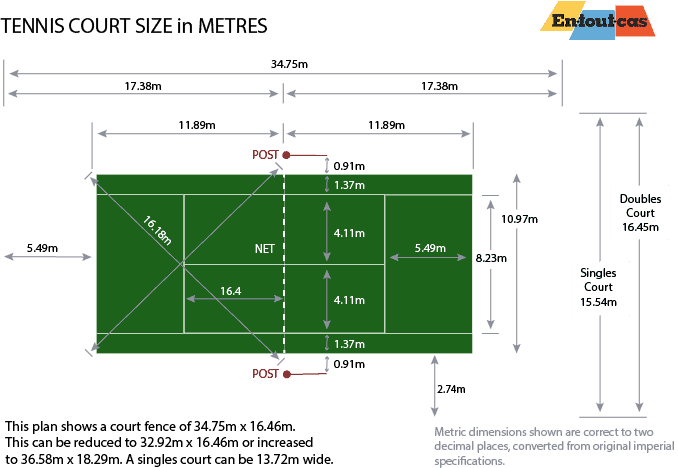 Just how big is a tennis court? The dimensions of a tennis court have not changed since the game was regulated in 1875, even though almost every other aspect of the sport and its players has evolved. The original dimensions were laid down in feet, but our plans show imperial and metric dimensions. 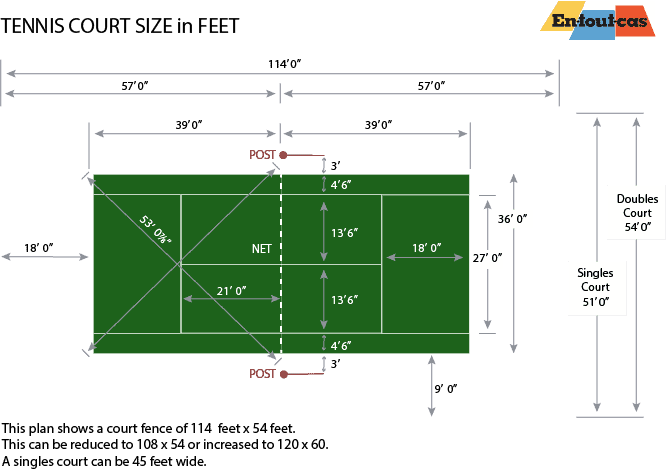 In broad terms, the tennis court enclosed by a fence will occupy a space somewhere between 120 feet by 60 feet and 108 feet by 54 feet. A singles-only court can be accommodated in a space 45 feet wide. Remember too that the orientation of the court is very important - no one want to be receiving serve facing into a bright sun. Tennis court fencing plays an important part in the presentation and practicality of a tennis court. Our approach is to use our own design,elegant patented fences complement the court and make it an attractive part of the garden. 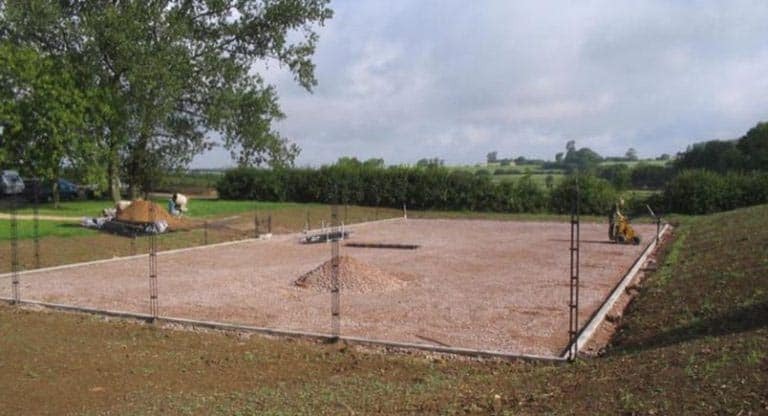 Under normal circumstances, the construction of a tennis court does not require planning permission in the gardens behind a private house. 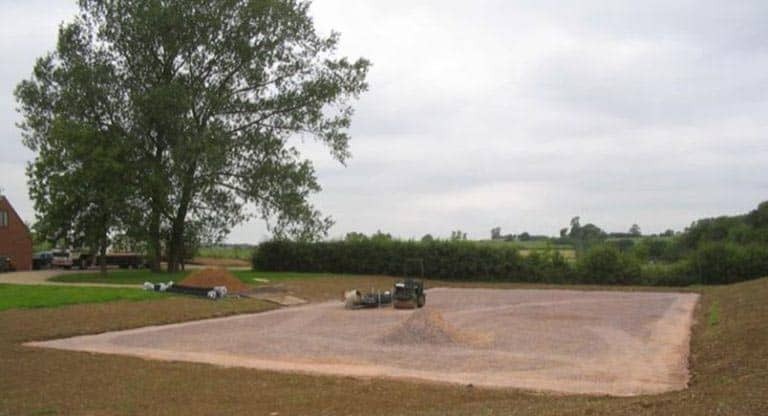 The planning rules for tennis courts come under and are specifically mentioned in the general rules for outbuildings which state that an enclosure below a height of three metres does not require planning consent. 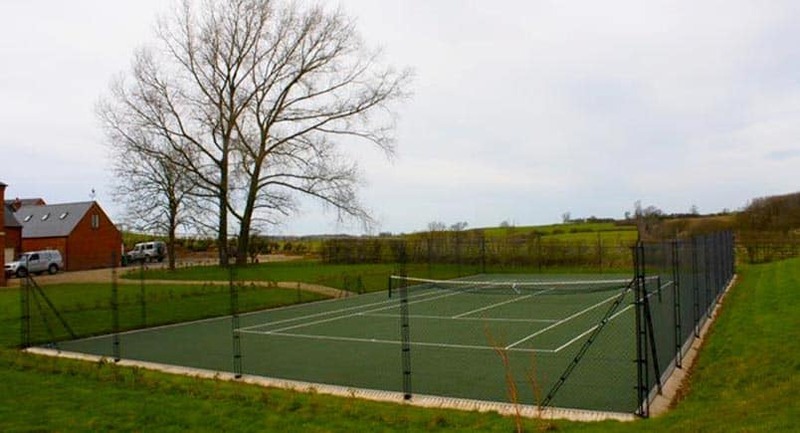 There are just six reasons why you would need [planning permission for a tennis court. Permitted development rights have been removed. The house is in an area of outstanding natural beauty or national park. 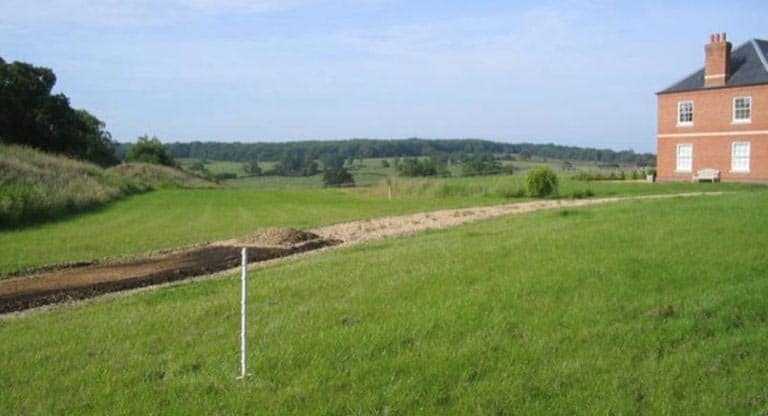 Significant civil engineering works are required. To find out more about planning issues, visit the planning portal, a government planing advice website. From foundations through to fence post finials, our approach is to build a tennis court that will give years of enjoyment, with the proper care. The surface you choose for your court will depend on the type of tennis you want to play and the other games and sports you will want to play on it. Different surfaces produce different ball speeds, different levels of bounce and are easier or harder on your joints. Different types of surface also require different cleaning and maintenance regimes. You can learn more about the surfaces we offer by clicking here.